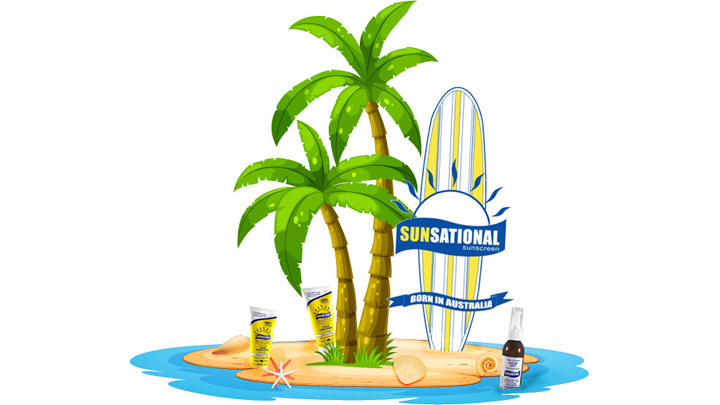 Distributors, if your business is looking to distribute, export, import or for bulk purchases, contact Sunsational for information and pricing. Hearing about these types of figures has motivated the original owner, Peter Collins to start his own brand of SUNSCREEN with a strong desire to offer good, effective sun protection from the sun. Nanoparticle Free SUNSCREEN, is best. SUNSCREEN is also known as sun block, sun care, sun cream, sun lotion, sun protection, and SUNSCREEN lotion. SPF50 sunscreen is now allowed to be sold in Australia but must be licensed by the Australian authorities, Therapeutic Goods Administration. All SPF50 sunscreen must display a licence number, example: AUSTL12345. Hydrates Dry Skin with Moisturiser for Sensitive Skin. Sunsational After Sun Gel has Aloe Vera Extract to soothes, moisturise and revitalise sun, sea and wind damaged skin. Have fun playing in the outdoors with Sunsational range of Zinc Sticks. They are a fun and colourful way to protect yourself from the Australian sun! Sunsational Sunscreen has been around for years and the quality of our products speak for themselves. Sunsational Body Care SPF30+, SPF50+ Sunscreen Cream provides very high sun protection from UVB rays that cause sunburn and skin cancer and the deeper penetrating UVA rays that cause premature aging and skin cancer. Sunsational, SPF 50, Sunscreen, Sunscreens, Sun Cream, Sun Lotion, Sun Care, Suncare, Sun Protection, Sun Block, Sunblock, Australian Sunscreen. Sunsational Body Care supplies in Sydney, Melbourne, Brisbane, Adelaide, Perth, Darwin, Hobart and around the world. © Copyright 2006 - 2017 Sunsational Body Care All rights reserved.